26 foot living space 30ft total length. 1 slide so it’s very spacious inside. Has a short queen master bed. TV/DVD indoor/outdoor speakers. Oven and stove, microwave, and Outdoor shower. This is a super clean trailer. Still smells brand new! Are you limited on towing capacity? Well this trailer weighs in at 3,110lbs. empty (weight includes batteries and full propane, but empty water tanks). I have towed this trailer with a 2013 Grand Caravan without issues. This unit has everything you need, 2 burner stove, microwave and full bath with standing shower. It also has an AC unit that blows nice and cold. The unit has 3 fold out beds that can sleep 2 each. There is also a pull out couch and sleeper dinette. An ultra light trailer that can sleep max 8 people, is a rarity. It also has a nice large awning. We've used it to dry camp once, but we prefer to use it at places with full hookups. We keep the trailer in great condition as we use it as well. The trailer has a single battery and single propane bottle. Feel free to message me with any questions. Thanks for looking! Excellent trailer. Good choice if you want to relax at the same spot a few days. This vehicle is from a private owner. You’ve been dreaming of seeing the city by the bay for years now. From clam chowder in bread bowls to the posting for photos above the iconic Golden Gate Bridge, you’ve planned the entire trip out in your head and all that’s left is to act. If you’re like most travelers, however, acting is often harder than it sounds. Budgets are often tight and road trips are expensive and can be difficult to plan. Between ensuring the family car is ready for a big journey and booking hotels for each night of your stay in the City by the Bay, it’s easy to watch your travel budget disappear before your eyes. Fortunately, there’s a solution. By choosing to rent an RV in San Francisco, you can see everything the city has to offer without some of the hassles of traditional travel. RV Rental San Francisco – Why Choose Campanda? The best prices. At Campanda, you’ll never have to worry about being forced over your budget. With 25,000 RVs to choose from, we have the perfect make and model for every need and every budget. Additionally, we guarantee our prices so if you can find a lower one anywhere in the market we will match it with no questions asked. Did you find the price after you rented an RV from us? No problem – we will refund the difference between the two prices immediately! This is one of the many things that helps to make us the best RV rental agency in the industry. The largest selections. Whether you need a large RV or a small van, we have the perfect vehicle for you. 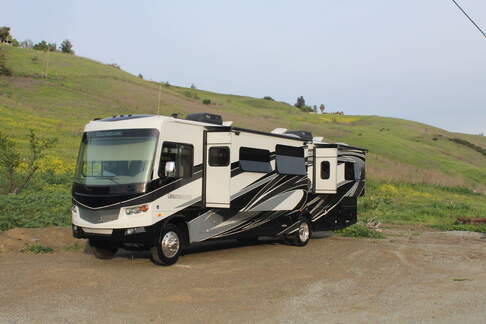 Shop our selection of 25,000 RVs for the perfect model to fit your trip to the City by the Bay. The best customer support. Need a question answered? Need help coordinating pick-up or drop-off of your rented RV? Wondering how to tie your RV rental in with your other travel plans? No problem. 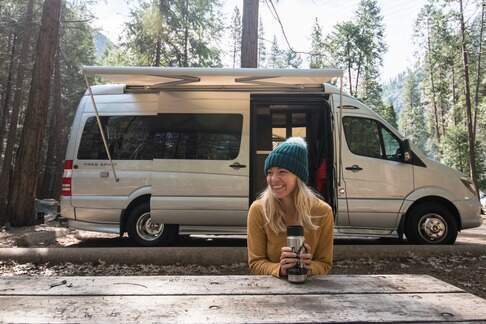 At Campanda, our support staff is here to help you with every aspect of your RV rental in San Francisco – from planning to execution – so you’ll never feel like you’re on the road alone. At Campanda, we can’t wait to help you find the perfect RV rental in San Francisco to facilitate your trip to San Francisco. 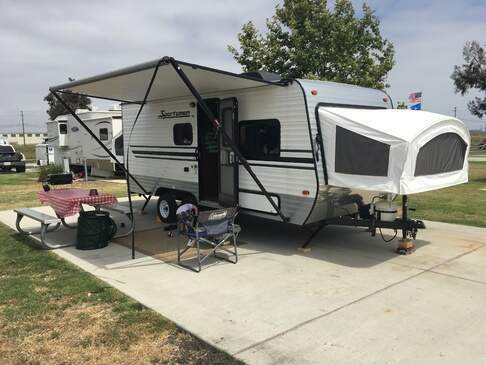 Whether you’re looking for a large motorhome that will accommodate the entire family comfortably or shopping for a travel trailer that will help you camp on the beaches just outside of San Francisco, we’ve got you covered. Satellite entertainment and navigation. To keep the whole family happy and on-schedule, consider opting for an RV with built-in satellite capabilities. From HD entertainment to high-tech navigation capabilities, satellite capabilities help your trip move along more smoothly. Bike racks. If you’re interested in taking a ride through the trails round the San Francisco area, consider getting an RV with bike racks. Sturdy and convenient, these bike racks are the perfect addition to your adventure. Kitchenettes.Head to Chinatown and pick up some delicious things to cook back at your RV, because you don’t have to sacrifice the comforts of home when you select an RV with a built-in kitchenette. Air conditioning. San Francisco has a moderate climate, but it’s still nice to have an air-conditioned cab to keep you cool and comfortable during road trips that take place in the summer months. Check out our RVs that offer this convenient feature. You’ve been dreaming for years about taking the perfect trip and now all that’s left is to find the perfect RV to do it in. 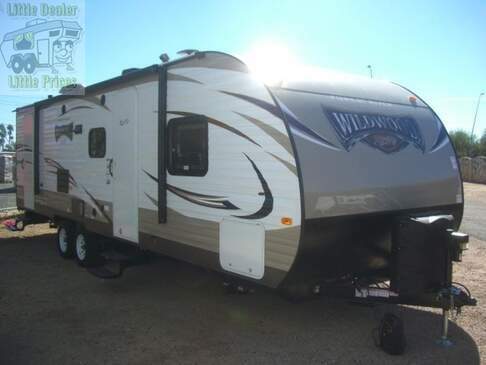 Let Campanda assist you in the process by setting you up with one of our award-winning RVs. Ideal for seeing everything the great city of San Francisco has to offer; an RV rental in San Francisco is the perfect compliment to your perfect trip. 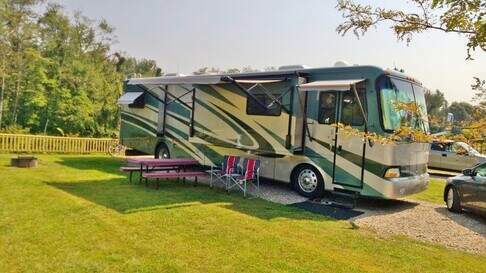 See the Sights from a Campanda RV! When you secure an RV rental in San Francisco, the city is your oyster! If you want to walk Fisherman’s Warf and see the sea lions on the dock below, drive over the iconic Golden Gate Bridge, see the sights from Alcatraz Island, catch the vibe in Union Square, visiting the Exploratorium or check out the Coit Tower, renting one of our high-class RVs is the perfect way to get there in style. You can also check out our RVs in Los Angeles, San Diego or the state of California. "